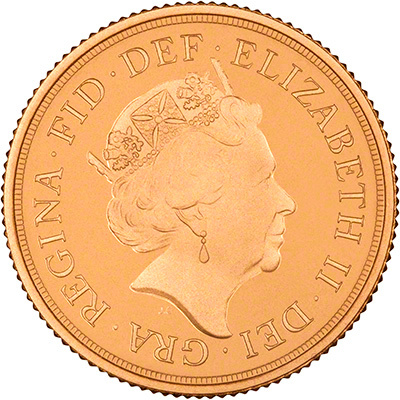 On 2nd March, 2015, The Royal Mint unveiled the new fifth portrait of Queen Elizabeth II. Coins produced after this date will bear the new effigy. 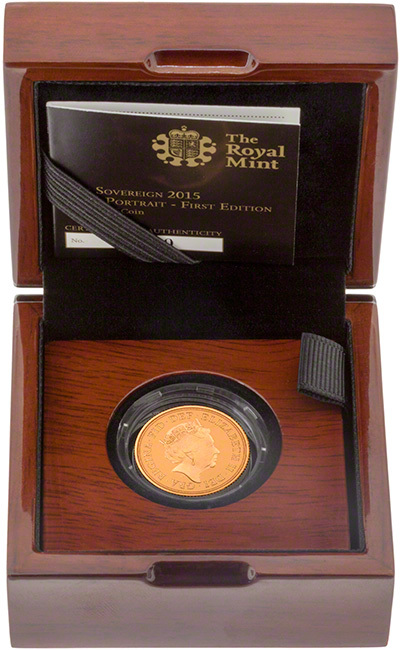 Our first delivery of the fifth portrait coins arrived on 2nd April, 2015. For the first time in over 100 years, there are two designs for the 2015 sovereign. The early coins feature the portrait, by Ian Rank-Broadley, on the obverse, whilst proof coins produced after 2nd March, 2015, feature a brand new portrait designed by Royal Mint engraver Jody Clark. 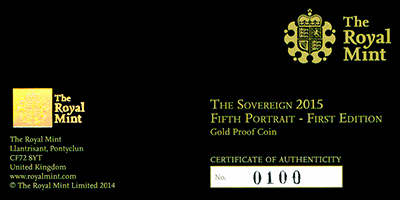 The fourth portrait sovereign is available here. The fifth portrait will not appear on uncirculated sovereigns during 2015. 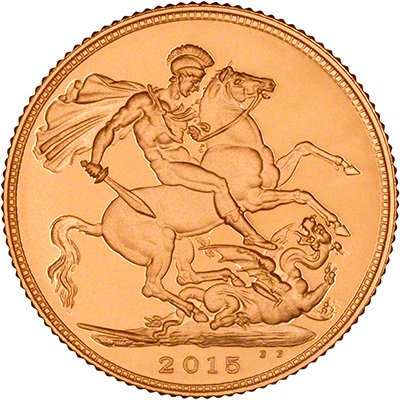 The 2016 uncirculated sovereign will be the first to depict the fifth effigy. Information about the 2016 sovereign with Queen Elizabeth II's fifth portrait is available here. 02/03/2015 - Queen Elizabeth II's fifth portrait unveiled by The Royal Mint. 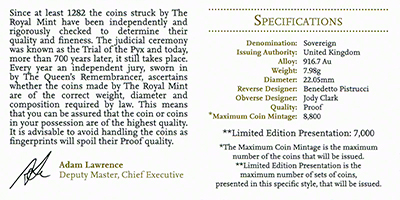 03/03/2015 - Misunderstanding with what coins will feature the fifth portrait. Seeking confirmation of this. 03/03/2015 - Confirmation that the fifth portrait will not appear on bullion products. 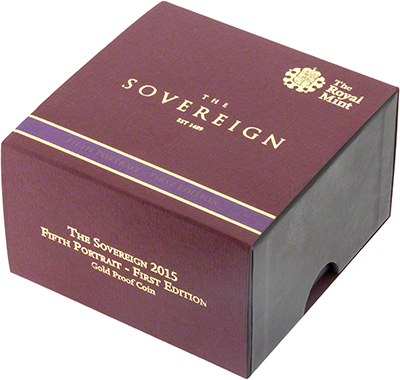 06/03/2015 - Expected delivery date of fifth portrait proof sovereigns given as late March/early April 2015.